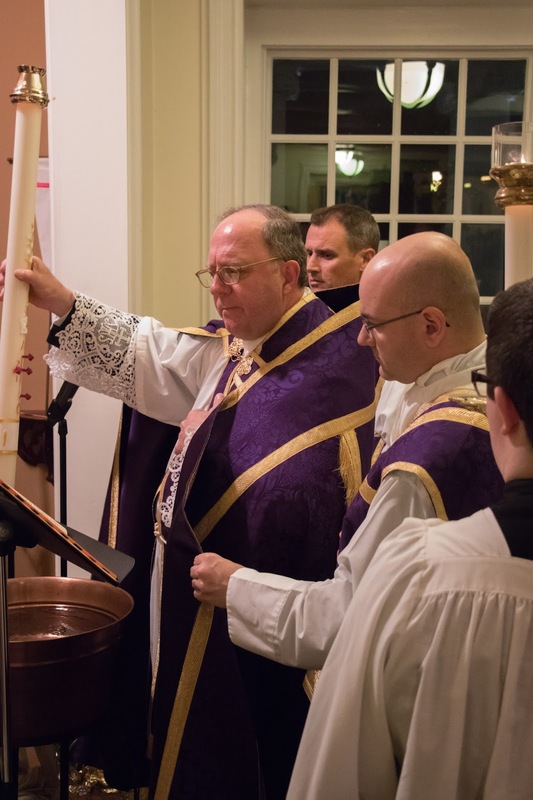 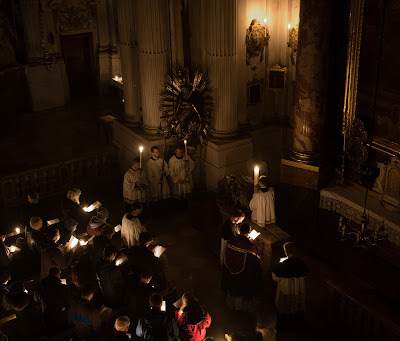 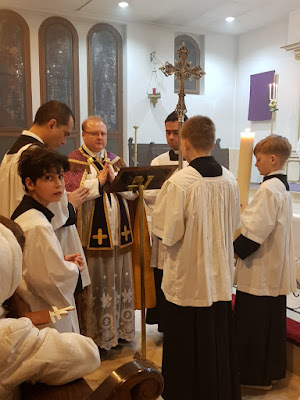 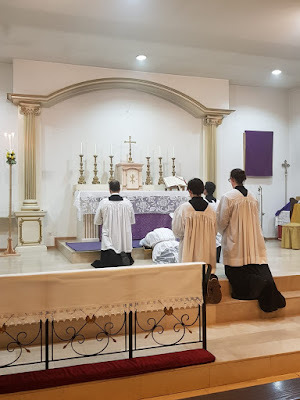 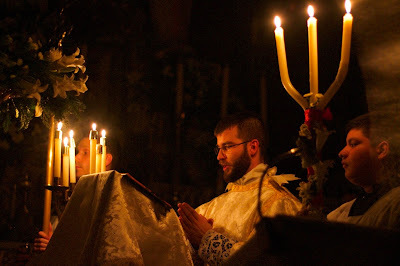 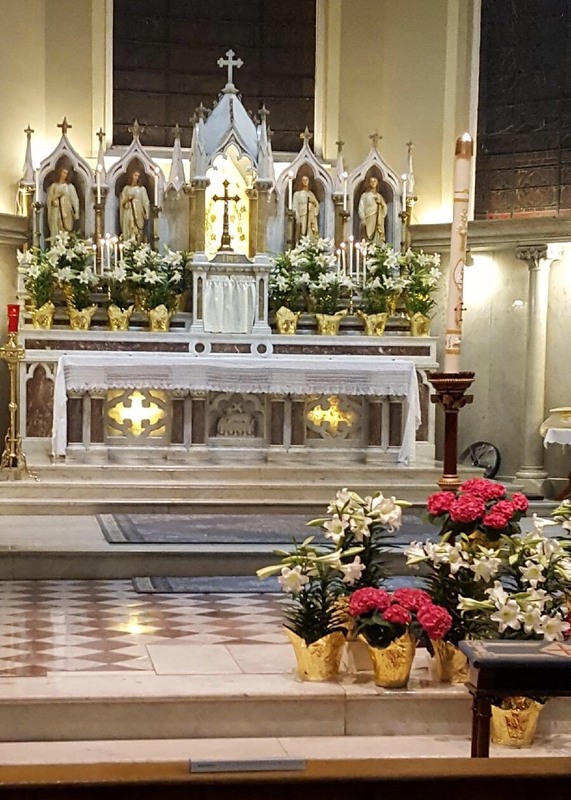 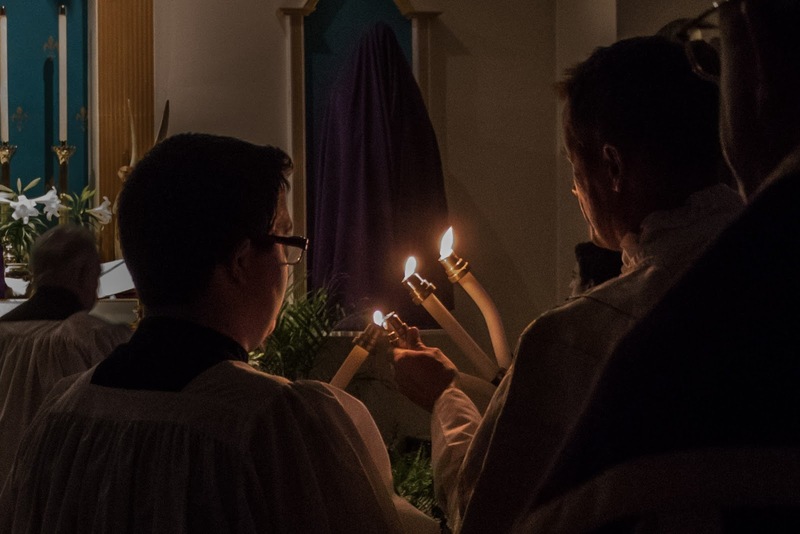 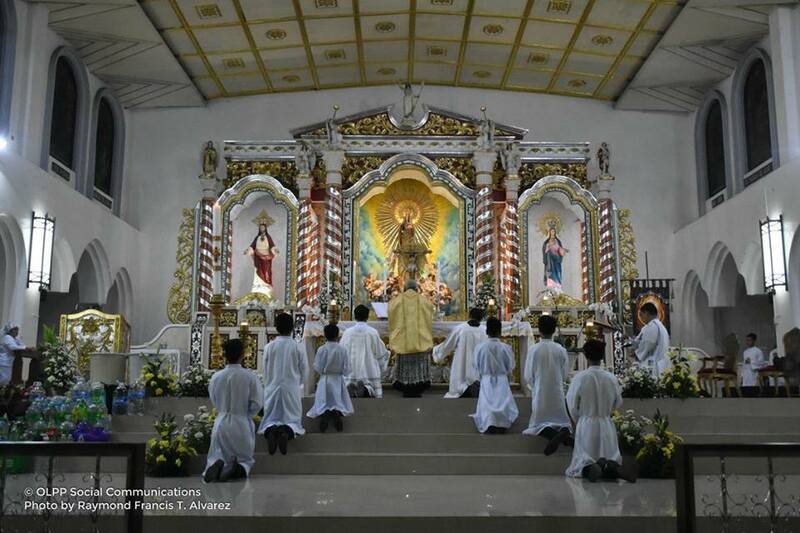 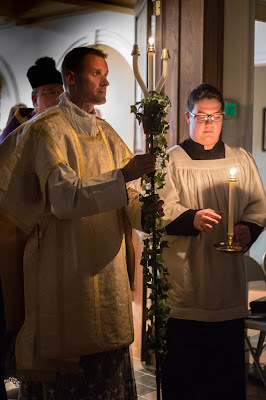 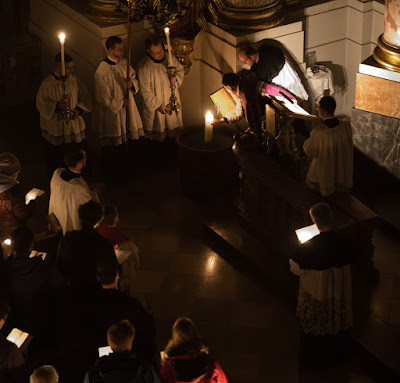 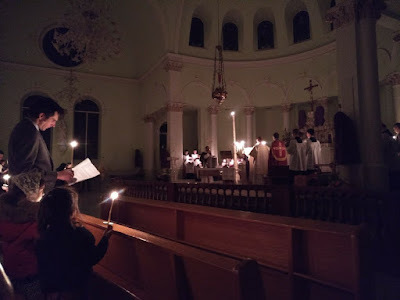 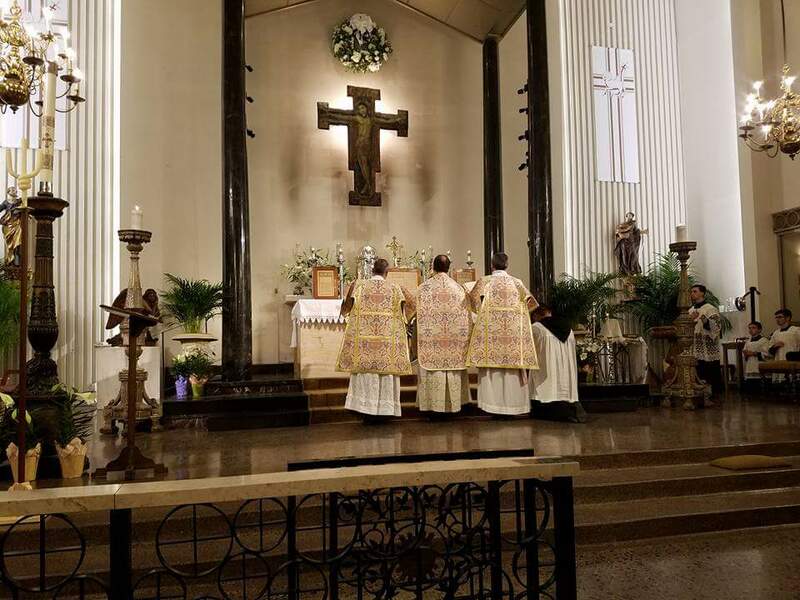 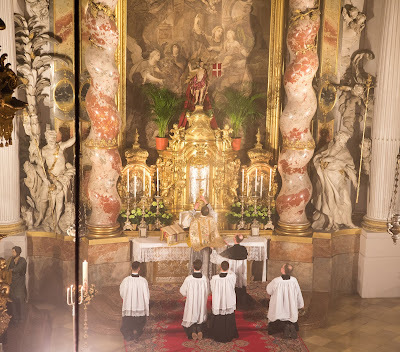 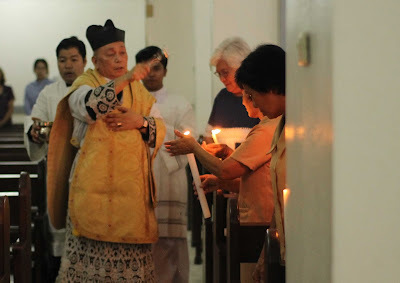 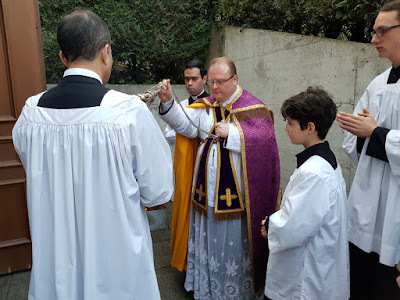 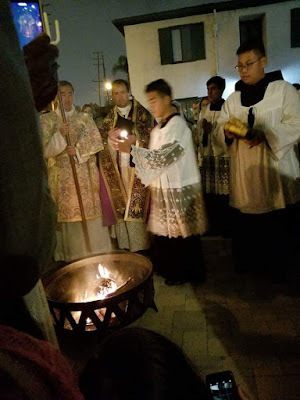 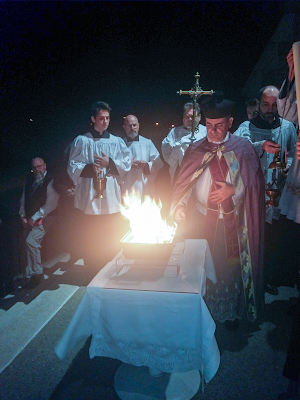 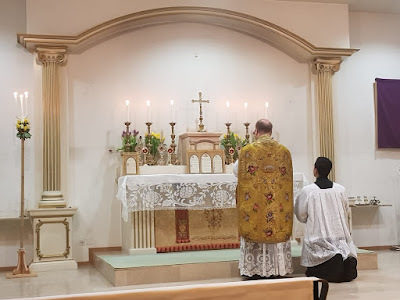 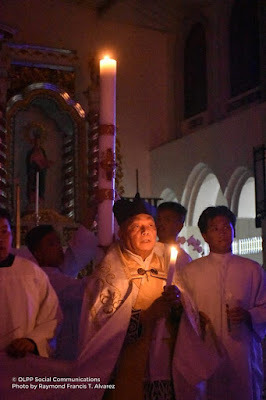 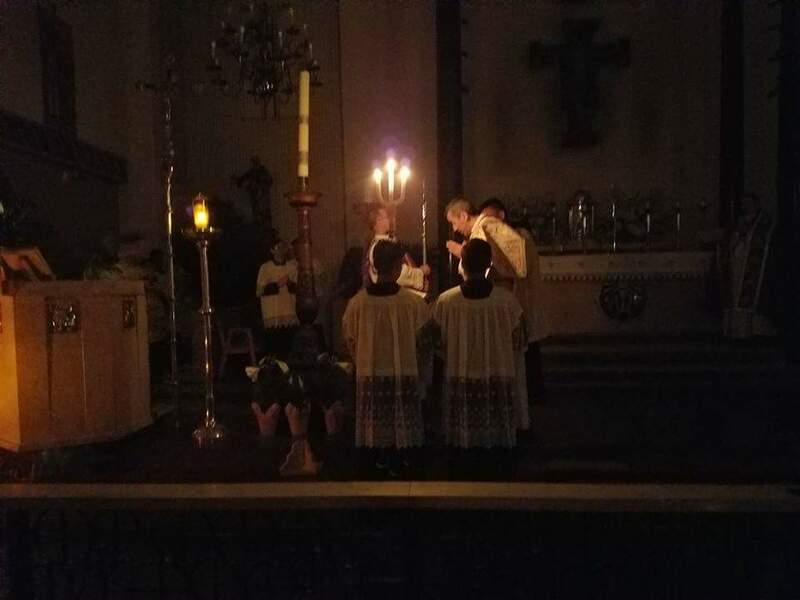 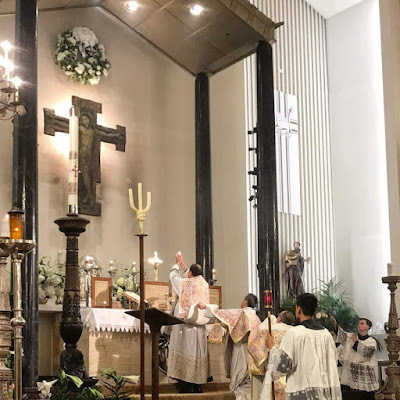 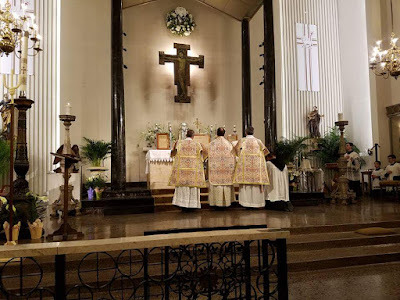 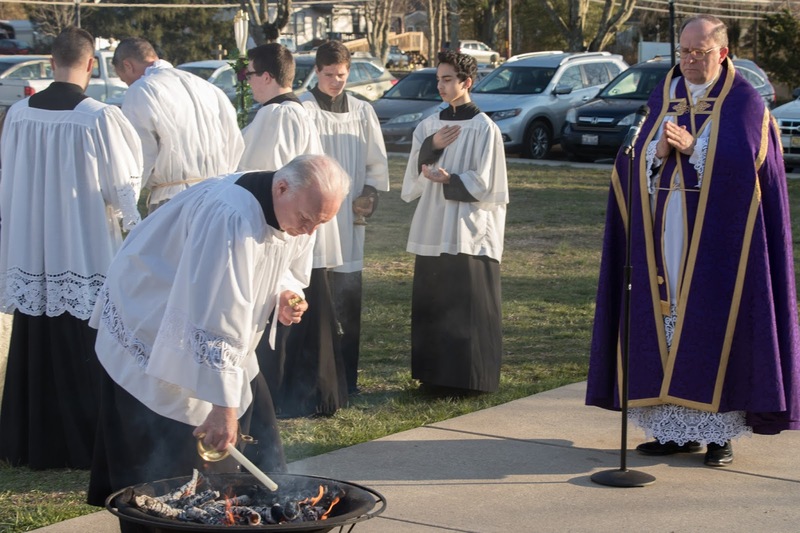 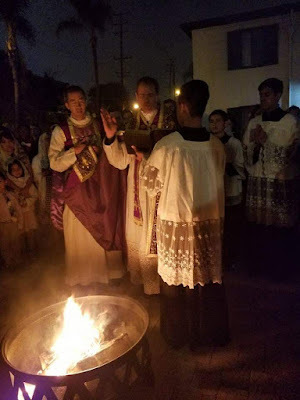 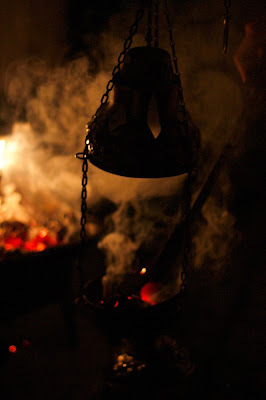 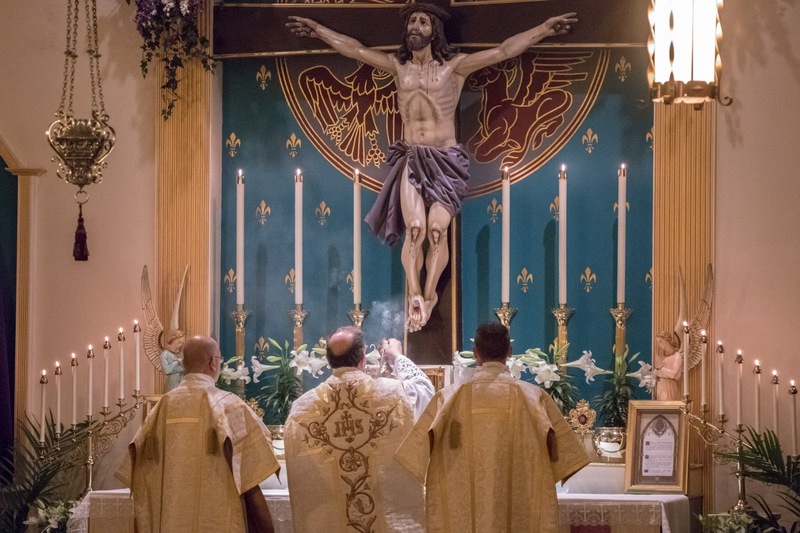 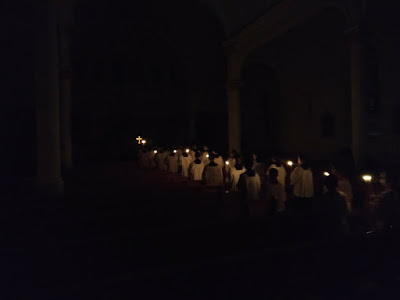 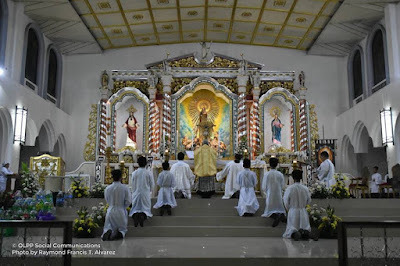 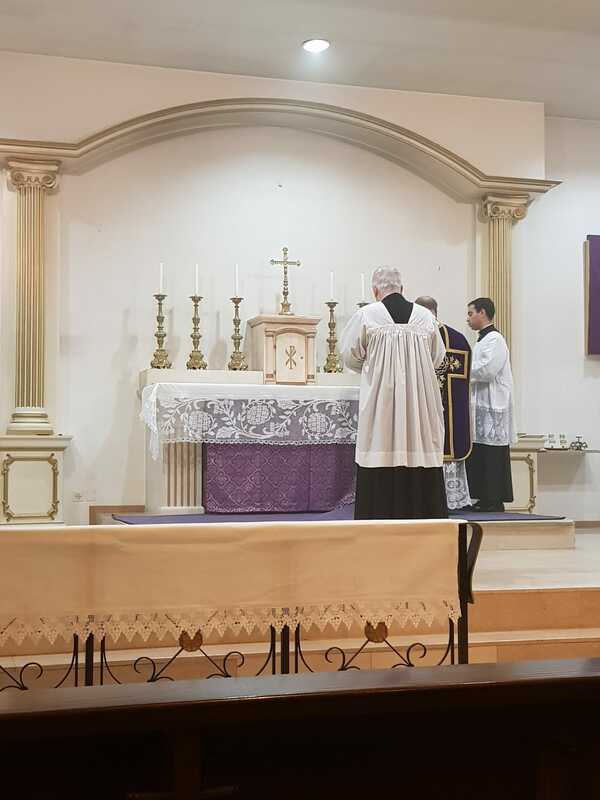 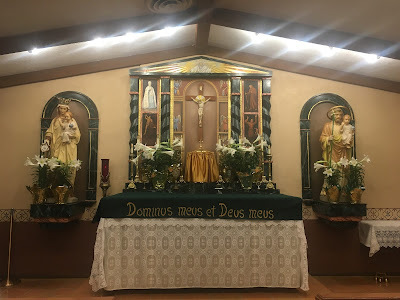 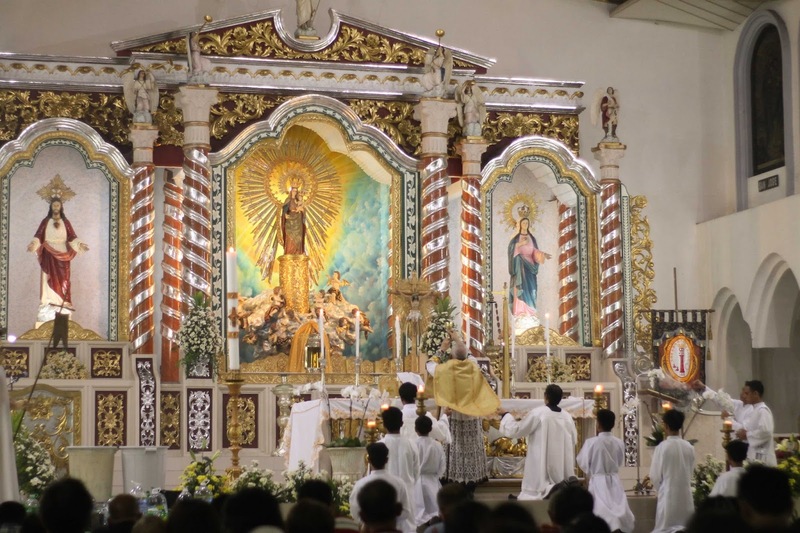 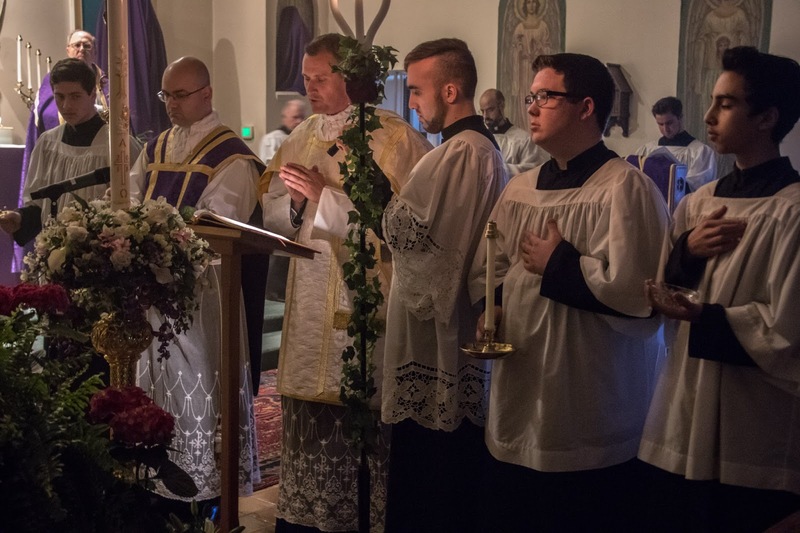 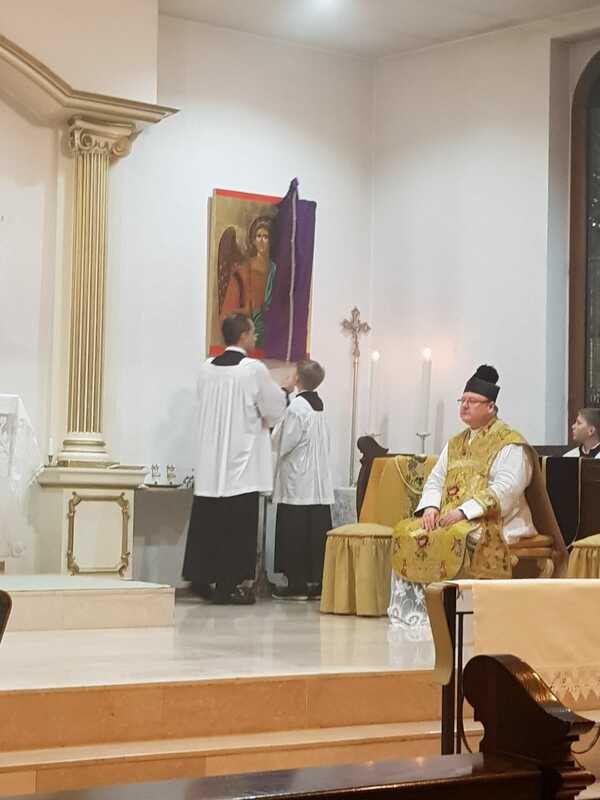 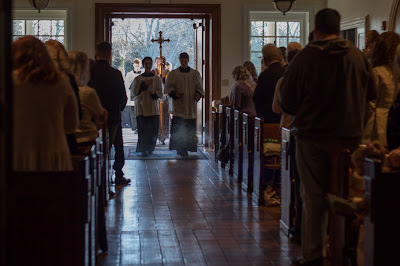 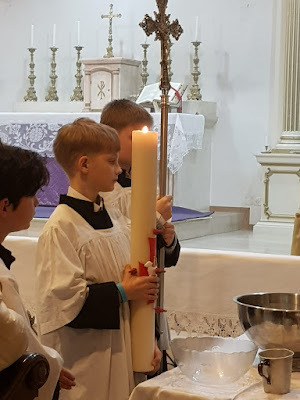 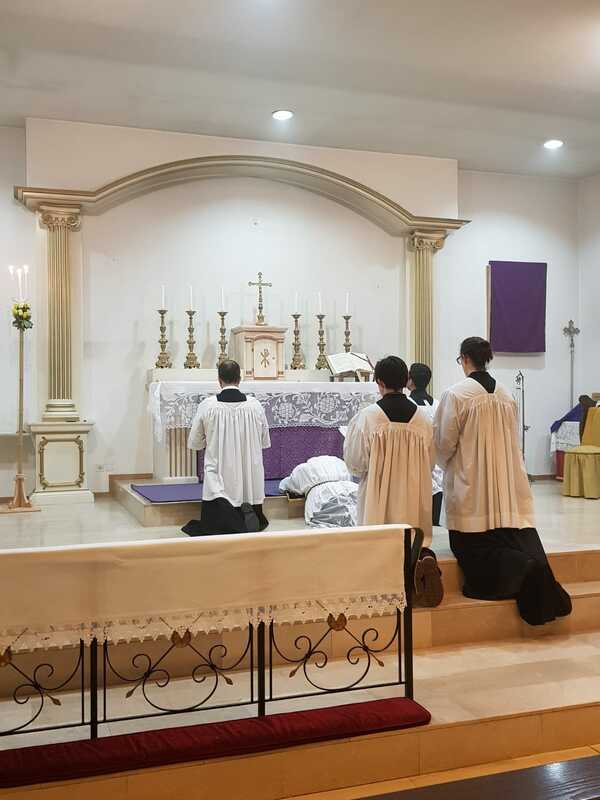 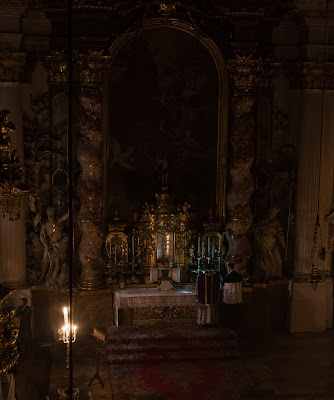 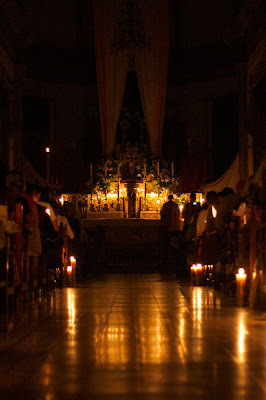 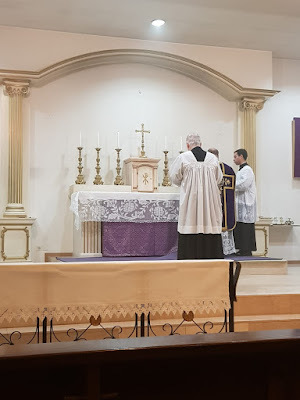 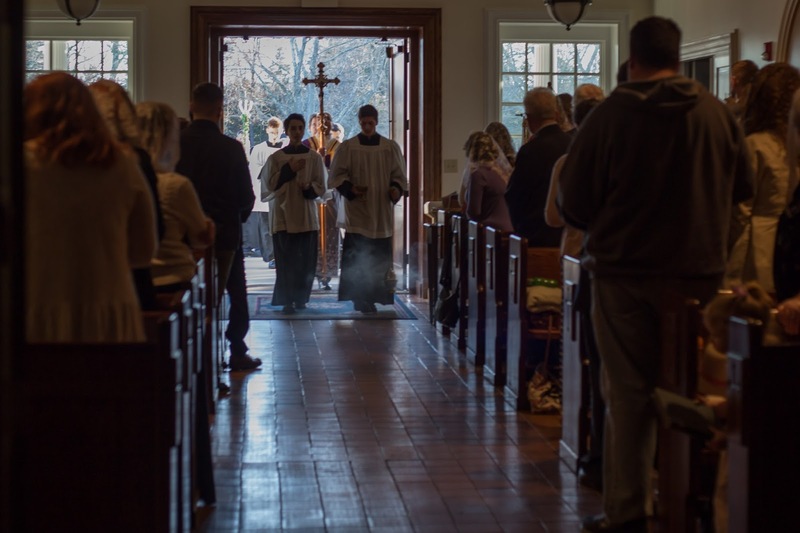 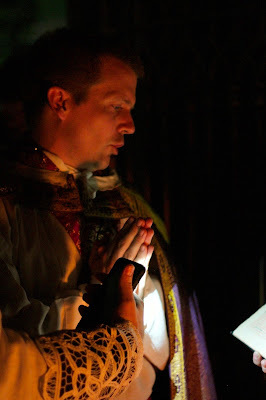 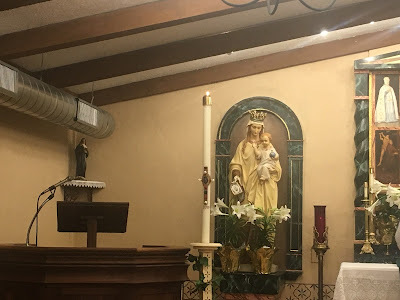 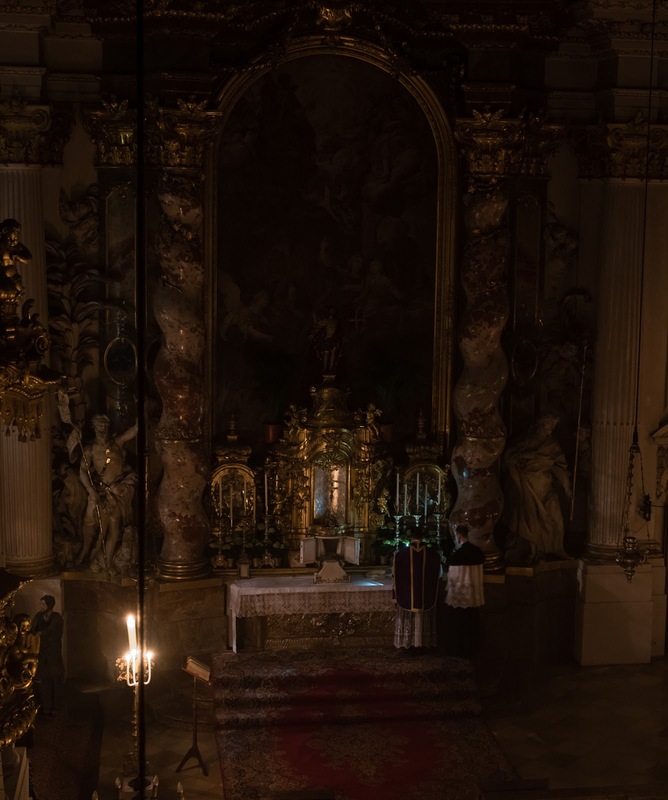 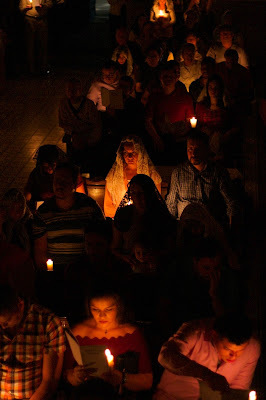 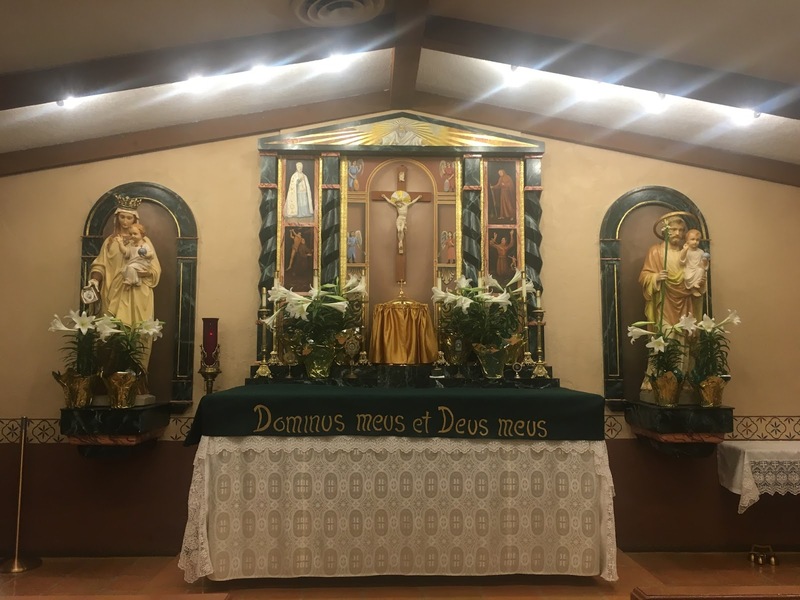 Our Holy Week photopost series continues with images of the liturgies of Holy Saturday. 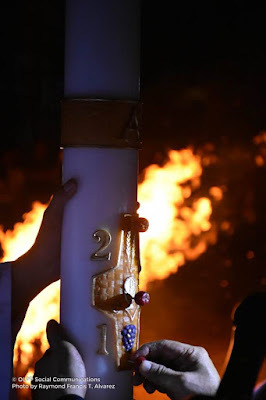 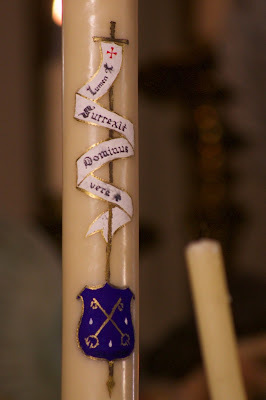 How good it is to see the return of the triple candle, representing the three Marys coming to the tomb of Christ! 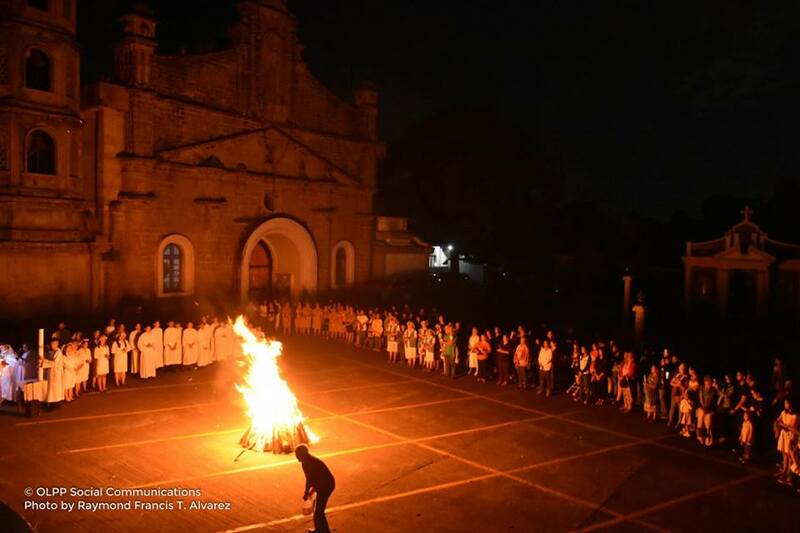 We also have an image below of a really impressive bonfire in the Philippines. 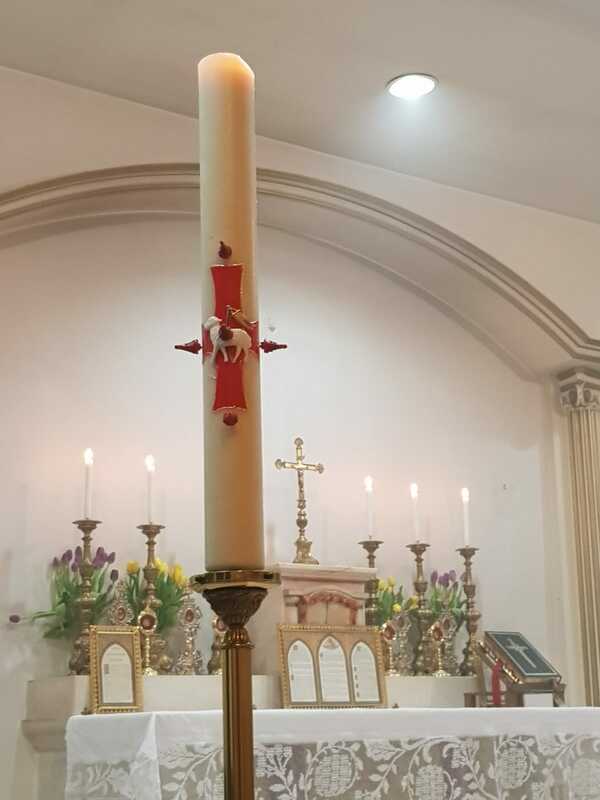 Many thanks once again to those who sent them in; we will have one or two more of these before we move on to Easter Sunday itself. 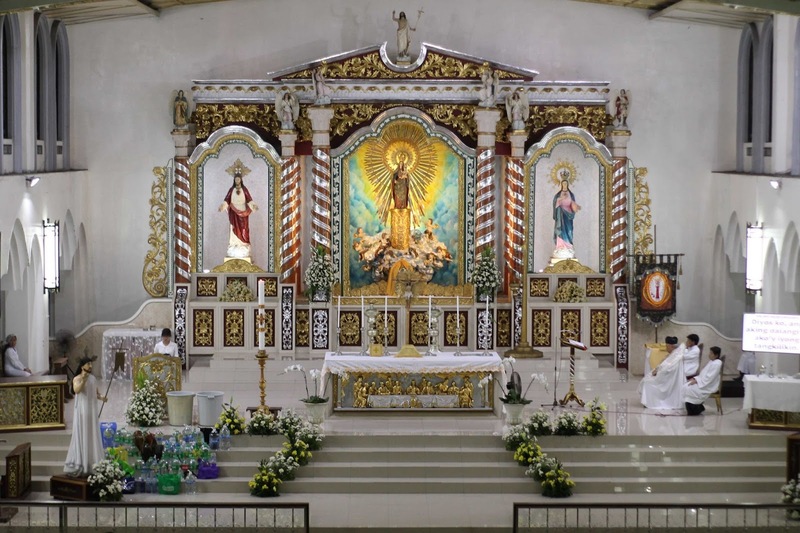 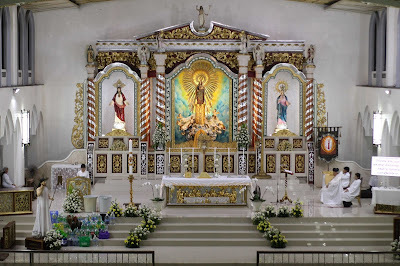 Evangelize though beauty! 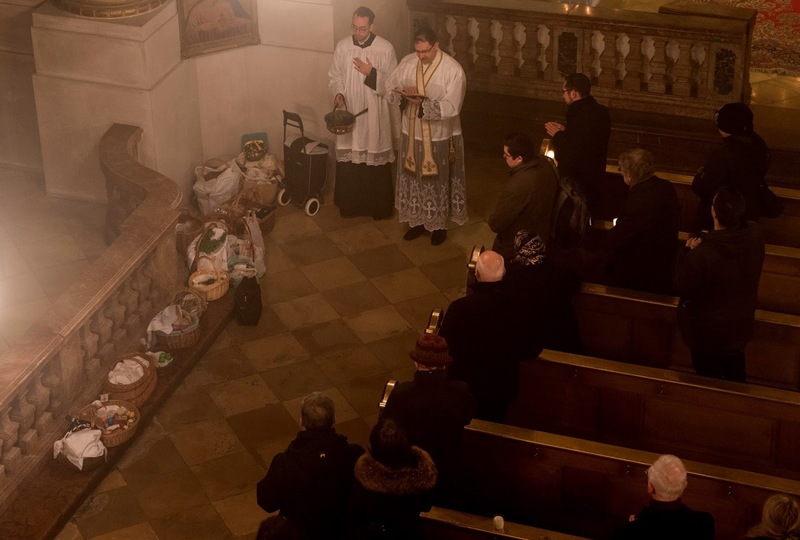 Blessing baskets of food for Easter after the vigil.